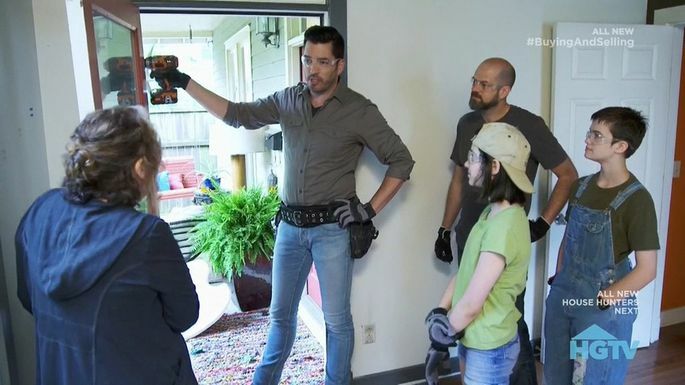 Reality TV stars Jonathan and Drew Scott have seen some wild homes, but in the Season 7 finale of “Property Brothers: Buying & Selling,” they tackle a beast that truly tests their skills. 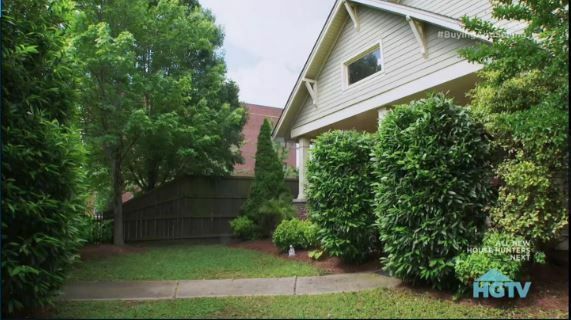 In the episode titled “Nashville Trade-In,” Kim and Tim have realized that their home in East Nashville, TN, has become too small for their family. Daughters Aslan and Kenya are now teens, and they all desperately want more space. The home is in the middle of a busy area of the city, so Kim has spent years cultivating trees and hedges to create a modicum of privacy. But the problem is that it’s killing the home’s curb appeal. And that’s not the only challenge for the Scott brothers. Kim and Tim have established an eclectic home decor that suits their family—but perhaps won’t appeal to virtually anyone else. Walking into the house, Jonathan says it feels more like a record store, thanks to Tim’s vinyl collection front and center in the living room and a crazy color scheme throughout. And so, with their work cut out for them, Jonathan and Drew roll up their sleeves to get to work—teaching us tons about buying, selling, and renovating our own homes all in one pretty 30-minute package. Here are some take-home tips. Kim adores all the foliage in her front yard, but when Jonathan and Drew show up at the home, they can’t even see it from the road because of the giant, leafy walls that she’s grown. While it’s important to have some privacy, buyers also need to be able to see your home! Alas, Kim ends up in tears when Jonathan removes a holly bush that she thought he was leaving behind. But as he continues uprooting trees and pruning back bushes, she admits that the home looks more inviting from the street. Plus it allows more natural light into the house. 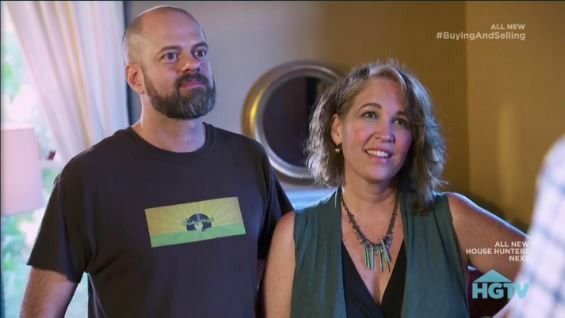 Like most homeowners, Tim and Kim have put their heart and soul into decorating their house. So when Jonathan suggests repainting it in more neutral colors and staging the home with new furniture, it’s no surprise the family balks, especially at Jonathan’s assessment that the house is full of “crazy colors.” They worry a neutral-hued home will be boring, but Jonathan promises it will be anything but dull when he’s done. After all, he reminds them, the goal isn’t to show off your style when selling; it’s to let buyers imagine themselves in the house. “The majority of buyers don’t have the cool taste that you have,” Jonathan diplomatically points out. He replaces their funky browns and blues with simple whites and ecru, which make the rooms seem brighter and larger. Walking into the house, Jonathan and Drew can see from the living room to the dining room, thanks to the home’s open floor plan. There’s nothing to stop the eye, and that’s actually a problem. “You need that [focal point], especially when it’s a flow-through space to the dining room and kitchen,” he says. 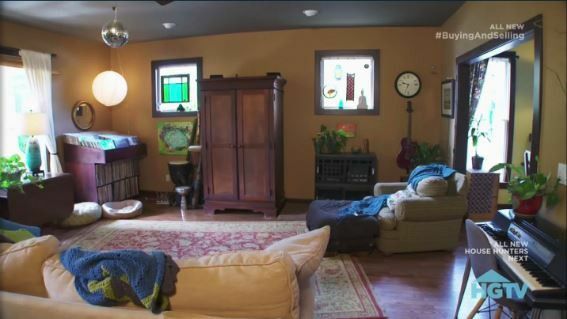 His solution is to add a stone fireplace to the living room, which keeps the focus on the living room. His other big fix? Get Tim’s record collection out of the living room! Vinyl is dead, man. Buyers want to see a living space where they can hang out, not a room serving as record storage. Moreover, using the room this way only serves to remind buyers that the home is small. The dining room is tiny, so to open things up, Jonathan suggests something a little surprising: Make the large windows smaller by moving up the bottom frame. This allows Jonathan to build a banquette into the wall, with storage space underneath. 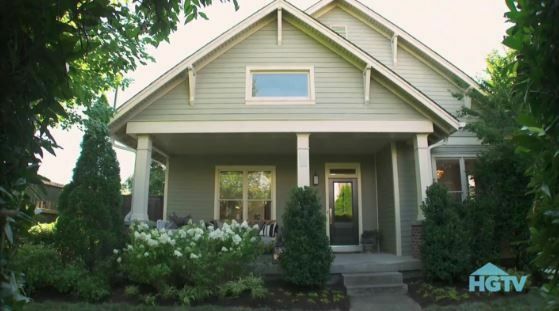 In total, Jonathan spends $36,000 renovating the 1,600-square-foot home, and it pays off. Before the renovations, Realtor® Drew said he’d list the place at $400,000. Afterward, he suggests a $500,000 list price. Kim and Tim ask if they can go higher, but Drew advises against it. Pricing the house “a little under others in the neighborhood” could make it more attractive to buyers, he says, and end up raising the price on its own. The best chance to get a little bit over $500,000 is to list it at exactly that price, he says. Drew’s bet pays off. When the offers come in, the news is huge: One buyer offers list price, with a request to move in in 60 days. But another buyer wants to move in in 10 days, and is willing to pay $520,000 to make the deal happen! Kim and Tim choose the latter offer. As for a new home, the family go for a ranch home that’s around 10 minutes away from their old neighborhood. The final price is $370,000 for 2,500 square feet of living space—giving the family plenty of room and privacy—even without a wall of hedges.